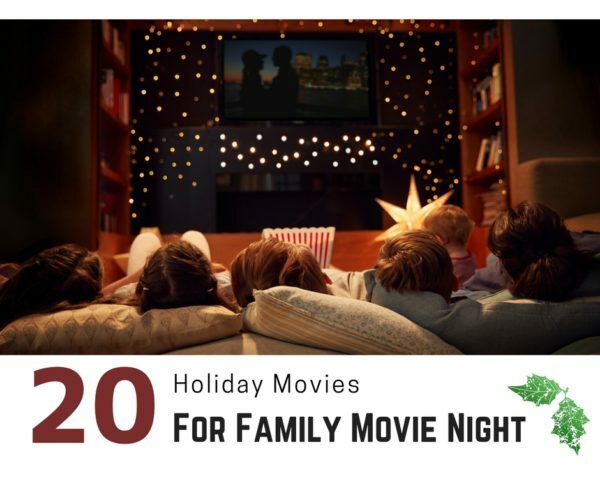 Where possible we have included online affiliate links for these holiday movies for Family Movie Night to help make your gift buying process easier. When you make a purchase using those links Jersey Family Fun receives a small commission that helps us maintain this website. ‘Tis the season for family traditions, and one of them that so many of us enjoy the most is sipping some hot cocoa, munching on cookies or popcorn, and watching our holiday movies for family movie night. From the comfort of our couch, all snuggled and cozy, my young son and I mix some of my favorite holiday movies for family movie night with some of his. With Netflix DVD.com, HBO Go, Amazon Instant Video, Hulu, and our own DVD collection, it is easier than pie. So, give some of these nearly two dozen holiday classics, and newer offerings, a try – for the first time or as a visit for a treasured friend. All you need to make these new holiday movies for family movie night memories is the cocoa, eggnog or cider, the snacks of your choice, and your favorite people to snuggle up to. It’s A Wonderful Life, 1946, the story of George Baily, who believes he has nowhere to turn due to financial troubles. But a jovial angel named Clarence teaches George, and each of us, how much we matter to the ones we love. Although I have seen this movie many times, the ending always makes me cry. Buy It’s A Wonderful Life now with this Amazon link. White Christmas, 1954, the beloved musical starring Bing Crosby, Danny Kaye, Vera-Ellen Null and Rosemary Clooney. Singers Bob Wallace, (Crosby) and Phil Davis (Kaye) join sister act Betty (Rosemary Clooney) and Judy Haynes (Vera-Ellen Null), to perform a Christmas show in rural Vermont. They run into General Waverly, a commander in World War II, and want to help save his country inn. While written for the movie Holiday Inn, the movie is synonymous with the heart-felt title song White Christmas. The entire score for this movie, including Heat Wave, Blue Skies, and Count Your Blessings, is definitely memorable. Buy White Christmas now with this Amazon link. A Charlie Brown Christmas, 1965, a holiday special that has charmed children, and their parents, for several generations. In the special, Charlie Brown finds himself depressed despite the cheerful holiday season around him. Lucy suggests he direct the neighborhood Christmas play, but his best efforts are ignored and mocked by his peers. After Linus tells Charlie Brown about the true meaning of Christmas, Charlie Brown cheers up, and the Peanuts gang unites to celebrate the Christmas season. It includes back-drop of a jazz piano score by Vince Guaraldi that has become synonymous with treasured Christmas music. Buy A Charlie Brown Christmas now with this Amazon link. The Santa Clause, 1995, the story of a workaholic divorced dad, Scott Calvin (Tim Allen), who is forced into appreciating Christmas after he puts on the red suit and becomes the bearded guy himself. Although there are many bumps on the way to the North Pole, he and his young son, Charlie, grow closer together amid the tremendous holiday spirit. Buy The Santa Clause now with this Amazon link. Miracle on 34th Street, 1947, a single mother (Maureen O’Hara) of a precocious little girl (played by an adorable Natalie Wood) runs Macy’s Thanksgiving Parade, and teaches her daughter not to believe in fairy tales…until a man named Kris Kringle (Edmund Gwenn) comes into their life and teaches them, and everyone around them that if you truly believe, holiday miracles do happen. Gwenn won an Oscar for best actor in a supporting role, and this time-honored movie also won Oscars for original story, and best writing in a screenplay. Buy Miracle on 34th Street now with this Amazon link. Miracle on 34th Street, 1994, The movie was redone in color with Macy’s changed to the fictitious Cole’s Department Store. The movie stars Elizabeth Perkins as Dorey Walker, the doubting single mother, Dylan McDermott as Bryan Bedford, her attorney-boyfriend, Richard Attenborough as Kris Kringle, an elderly man, who thinks he is Santa Claus, and the adorable Mara Wilson as the daughter, Susan, who learns – along with the rest of us — to believe in miracles. Buy Miracle on 34th Street now with this Amazon link. Meet Me in St. Louis, 1944, is a classic MGM romantic musical comedy that focuses on four sisters, one of them played by the legendary Judy Garland. The film takes place on the cusp of the 1904 St. Louis World’s Fair, which has many touching holiday scenes. The movie spotlights the sisters’ education in the ways of the world, which includes learning about life and love, courtesy of the boy next door. In the end, love, accompanied by song, dance, and period costumes, all in glorious Technicolor – conquers all. Buy Meet Me in St. Louis now with this Amazon link. Frosty the Snowman, 1969. This is the perfect animated holiday movie to watch with young children, and you can sing along with the lovely theme song. The program, which first aired on Dec. 7, 1969, and features the voice of Jimmy Durante as the film’s narrator, and Jackie Vernon as the title character. Buy Frosty the Snowman now with this Amazon link. Snow Day, 2000, an example of Nickelodeon taking our nostalgic love for having a snow day when we were children, and making it into a movie. The film focuses on a group of elementary school students in Syracuse, New York, who get a snow day, and try to keep their school snowed in and closed by stopping a snowplow driver, (Chris Elliott), from plowing the street. The movie also stars Jean Smart, Chevy Chase, Mark Webber, and John Schneider. Buy Snow Day now with this Amazon link. The Muppet Christmas Carol, 1992, has The Muppets performing the Dickens holiday tale, with Kermit the Frog playing Bob Cratchit, the put-upon clerk of stingy Ebenezer Scrooge (Michael Caine.) Other Muppets, including Miss Piggy, Gonzo, Fozzie Bear and Sam the Eagle, weave in and out of the story, while Scrooge receives visits from spirits of three Christmases – past, present and future. They show him the error of his self-serving ways, but the miserable old man seems to be past any hope of redemption and happiness. Buy The Muppet Christmas Carol now with this Amazon link. The Polar Express, 2004, Tom Hanks and Forest Gump director Robert Zemeckis reunite for this inspiring adventure based on a beloved children’s book by Chris Van Allsburg, which is also a holiday family favorite. When a doubting young boy takes an extraordinary train ride to the North Pole, he embarks on a journey of self-discovery that shows him that the wonder of life never fades for those who believe. Buy The Polar Express now with this Amazon link. How the Grinch Stole Christmas, 2000, about a mean, green guy who doesn’t like the Yuletide season at all, starring Jim Carrey, and directed by Ron Howard, in this live-action adaptation of the classic children’s story by Dr. Seuss. High atop Mt. Crumpet, the Grinch observes the residents of Whoville as they joyously prepare to celebrate Christmas. The Grinch conspires with his dog Max to steal Christmas from Whoville, making off with their presents, holiday decorations, Christmas trees and everything else used to enjoy the holiday. But, all ends well in the end. Buy How the Grinch Stole Christmas now with this Amazon link. The Holiday, 2006, PG-13 Christmas romantic comedy about two scorned women; Amanda, a successful Hollywood woman who makes movie trailers played by Cameron Diaz, and Iris, a woman who lives in a cottage outside of London, played by Kate Winslet. Also starring Jack Black, Jude Law and Eli Wallach, this a Nancy Myers romance with great heart. The two women swap homes at Christmastime after bad breakups with their boyfriends and unexpectedly each may just find true love in the end. Buy The Holiday now with this Amazon link. The Family Stone, 2005, PG-13 focuses on an uptight, conservative businesswoman, played by Sarah Jessica Parker, who accompanies her boyfriend to his eccentric and outgoing Christmas celebration and finds she is a fish out of water when it comes to their free-spirited way of life. The rest of the stellar cast includes: Dermot Mulroney, Diane Keaton, Craig T. Nelson, Luke Wilson, Claire Danes and Rachel McAdams. There are many surprises – some bitter and some sweet, in this lovely movie about the family ties that bind. Buy The Family Stone now with this Amazon link. Love the Coopers, 2015, about the annual Christmas Eve celebration, involving four generations of the Cooper family. Sam Cooper (John Goodman) and his wife, Charlotte, (Diane Keaton), are considering a break-up of their long marriage and keeping a happy front for their extended family. The sweetest aspect of the story is between Amanda Seyfried, a local waitress, and her steady elderly customer, played by Alan Arkin, the Cooper grandpa. Buy Love the Coopers now with this Amazon link. Serendipity, 2001,PG-13 A chance meeting while celebrating Christmas in New York brings together two strangers, (Kate Beckinsale and John Cusack), and they spend the entire movie trying to figure out if they were meant to stay together. Buy Serendipity now with this Amazon link. Scrooged, 1988, PG-13 Bill Murray plays Frank Cross, the inconsiderate and arrogant President of a TV network. He is preparing an extravagant live production of A Christmas Carol on Christmas Eve, forcing the network’s staff to work. He denies his employees their Christmas bonus, and gives everyone on his Christmas list, a monogrammed towel. But then he is visited by the three ghosts over the night, and both horrified and humbled by what he’s been shown, Frank returns a changed man. Buy Scrooged now with this Amazon link. The Nightmare Before Christmas, 1993, takes us to Halloween Town, a fantasy world filled with citizens such as deformed monsters, ghosts, ghouls, goblins, werewolves and vampires. The stop-motion animated dark musical fantasy, produced and conceived by Tim Burton, tells the story of “The Pumpkin King, Jack Skellington, a resident from “Halloween Town” who stumbles through a portal to “Christmas Town” and decides to celebrate the holiday, with some dastardly and comical consequences. Danny Elfman, wrote the songs and score, and provided the singing voice of Jack. Buy The Nightmare Before Christmas now with this Amazon link. A Christmas Story, 1983, the movie centers around nine-year-old Ralphie Parker, who only wants one thing for Christmas: A red Ryder Carbine Action 200-shot Range Model air rifle with a compass in the stock and “this thing which tells time,” (a sundial.) His mother rejects his request, as does his sister and Santa Claus, all giving him the same warning: “You’ll shoot your eye out, kid.” After opening most of his presents, a disappointed Ralphie did not receive his one coveted gift, until his father directs him to one last present that he had hidden: The Red Ryder gun. We learn at the end in a voiceover by an adult Ralphie that this was the best present that he had ever received. Buy A Christmas Story now with this Amazon link. Elf, 2003, Starring Will Ferrell, the movie is about Buddy, who wreaks havoc on the elf community due to his ungainly size, a man raised as an elf at the North Pole is sent to the U.S. in search of his true identity. Also, starring Bob Newhart and James Caan, this is a funny and charming family movie. Buy Elf now with this Amazon link. Home Alone, 1990, The McCallister family is preparing to spend Christmas in Paris, gathering at Peter and Kate’s home outside of Chicago. 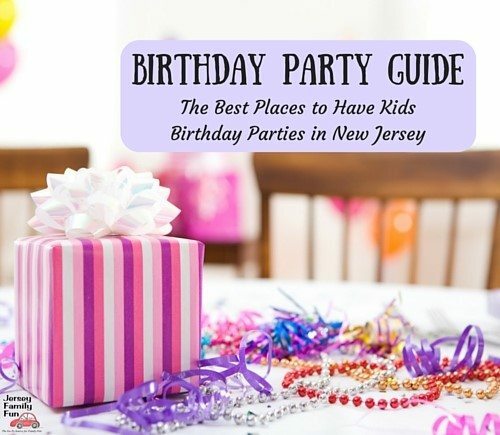 Their youngest son, eight-year-old Kevin (Macaulay Culkin) is accidentally left behind, and contends with his next-door neighbor “Old Man Marley,” as well as Harry (Joe Pesci) and Marv, (Daniel Stern), a pair of bungling burglars. The acting, the humor and the holiday spirit are all in high gear for this memorable modern tale. Buy Home Alone, 1990 now with this Amazon link. If these movies aren’t already part of your holiday movies for Family Movie Night collection look for them on Amazon or add them to your Netflix DVD.com queue. 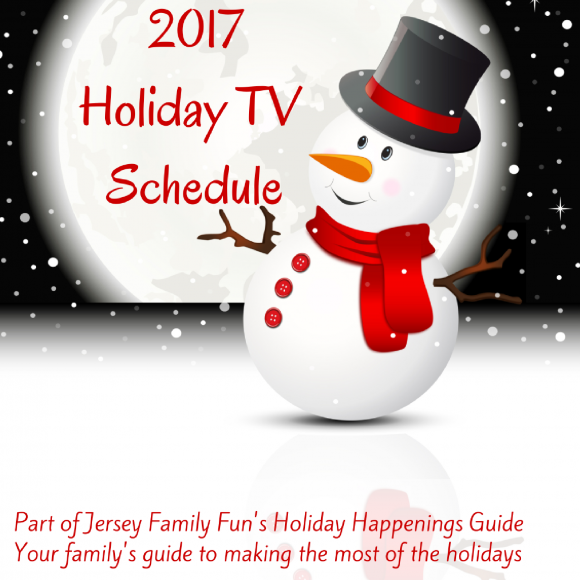 Don’t forget to check our 2017 Holiday TV Shows Schedule to see if they are playing on TV this December. What are some of your favorite holiday movies for Family Movie Night?